When it comes to technology, how do you distinguish a breakthrough from a passing fad? It’s one thing to know what your competition is looking at doing, and entirely another to predict which innovations will help them win. When compiling this list, we asked ourselves “what will still be around 10 years from now?” Customers are interacting with technology more seamlessly than ever, but robots and shoppable screens may not be the right way to go about it. An innovation can become a fad as quickly as computer hardware becomes obsolete. This trend report looks at whether or not the technologies have a groundbreaking impact on the core retail experience. Because no matter what technology looks like, it all comes back to the customer’s relationship with the business and its brand, products, and service. Augmented reality innovations are very much hit-or-miss when determining their usefulness as shopping tools. Technology has to be used in a natural, authentic way to keep the customer central to the experience. That’s why interactive screens are making a breakthrough in the beauty industry with their ability to record customers virtually applying makeup, then emailing them photos to record their look. Here’s one fad we won’t expect to see at our neighbourhood fashion retailers anytime soon: Topshop’s augmented reality shopping screens were created to help customers try on their collection without even stepping into a dressing room. But isn’t the whole point of going in-store to buy clothing to find out if the clothes actually fit? Today’s screens aren’t sophisticated enough to help you know if clothing is really the right size and fit. Smart makeup mirrors are the kind of technological makeover that makes a lot more sense, because they replicate the try-on experience much more faithfully – right now, algorithms are doing a much better job of digitally applying makeup to faces than dressing clothes accurately on different body types. A few years ago, Lowe’s tested out a cute little R2D2-like ‘bot, and retailers started wondering if this was the droid they were looking for. But they ultimately said, “LoweBot, SchmoBot” and never rolled it out past the pilot stage. Today, Softbank’s Pepper is taking orders at a Pizza Hut in Singapore and roaming the halls of the Mall of America, but as it turns out, is vulnerable to cyberattacks. While the technology clearly isn’t there yet, it’s also clear that retail robots aren’t a great substitute for actual human contact. Also, while robots can check prices and show customers around, they aren’t helpful at answering many of the how-to questions that customers have, especially when they should be showing empathy toward a real-life dilemma. The main thing they’re good at is facilitating self-service transactions – like a physical incarnation of an e-commerce site, with a worse user experience. 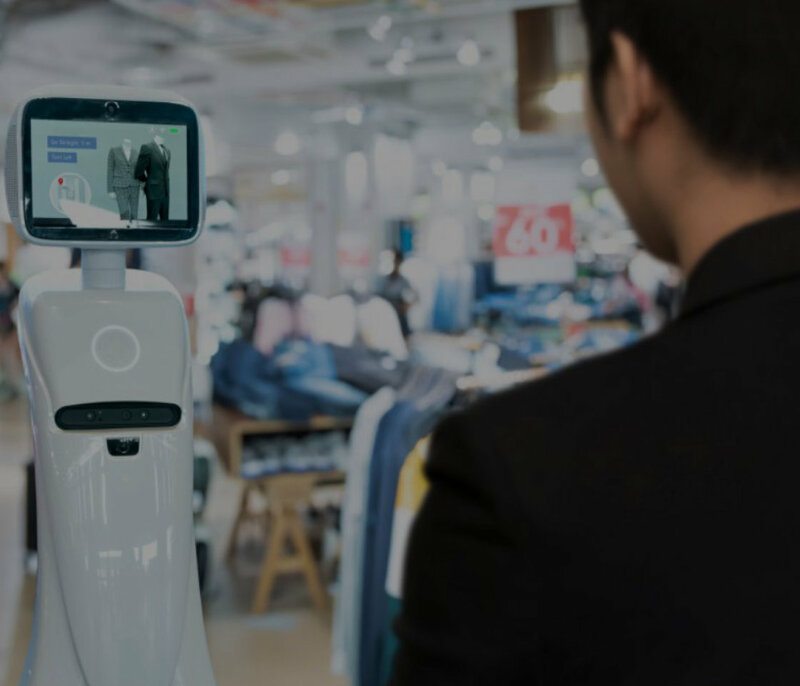 If stores were staffed by robots, why would anyone bother shopping in-store – when they could save themselves the trip and shop online? So again, technology only makes sense when it puts the customer’s needs first. Now, this is one human-less shopping experience that actually delivers real value. When counting cash isn’t required, the cashier-free checkout process looks totally different. Look at a business that offers contactless payments versus one that doesn’t: RFID payments speed up transaction environments for in-and-out purchases and offer huge convenience for customers by reducing time spent at checkout. The more widespread this technology becomes, the more often it could make or break a sale for retailers. The benefit to them is that digital payments are more secure and easier to track. However, one downside to consider is that digital payments come with hefty transaction costs. So, who’s going to win this arms race? While some digital trends will fade, others will make a lasting impact on the retail industry. As we see more and more tech innovations being tested in stores, those that win in this space aren’t those who are doing it first, they’re the ones doing it right. That means being genuinely useful, helpful, and delightful to customers – which is ultimately a great ‘analog’ experience, don’t you think? If you’d like to learn more about innovations specific to your industry, we can help you determine which upgrades will give you the best return on investment. And if you’re also interested in making your core ‘analog’ experience even better, our retail strategy, design, and manufacturing teams are on hand to bring out the best in your stores. Give us a call at 905-264-0917 or contact us.